Harare City council which has been battling with waste management challenges, has devised its two options which it hopes will bring change. 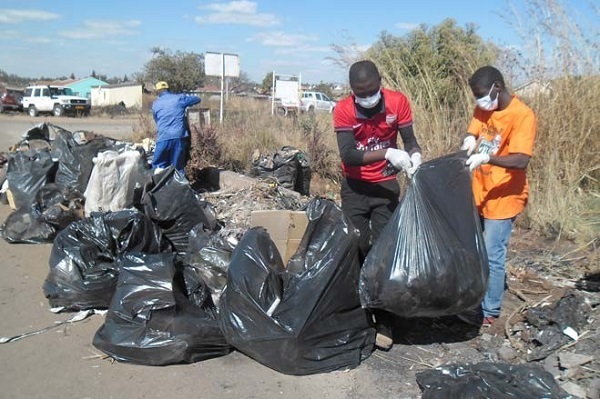 First, the municipality with the aid of Environmental Management Agency, Zimbabwe Republic Police, Vendors and Transporters Associations will carry out awareness campaigns on anti-litter and the other option is to arrest litter bugs. “This exercise is set to sensitize the public about good waste management practices. “I am impressed by the fact that the vendors and public transporters have seen it fit to participate in the City’s efforts to maintain Harare’s Sunshine city status. “It is imperative to note that Harare waste management action plan is to be implemented before the rain season intensifies. “City of Harare, EMA, ZRP and Transporters Association are going to conduct awareness campaigns in the form of road shows, media tours, awareness road blocks and engagement of stakeholders beginning tomorrow (Tuesday), to instill an environmental friendly behaviour. “I would like to call on everyone to cooperate with the City of Harare, ZRP and Environmental Management Agency as we engage in this exercise,” revealed acting Town Clerk Josephine Ncube. Added Ncube: “Our rights to a clean, safe and healthy environment can be easily achieved through various ways which include reducing waste generation and embracing an anti-littering attitude. “We can also adopt areas for clean ups; ensure that public passenger vehicles and private ones have bins so that we desist from throwing waste from moving vehicles. “All waste generators and retailers must put in place adequate bins for waste disposal at their premises. “We can also reduce and recycle the amount of waste we generate; thus cutting down on the amount of waste that ends up in dumpsites. “Most of the litter that is scattered on the streets of Harare is waste from food packaging; this can be reduced by ordering sit-ins instead of take-aways when we buy food. “We can also adopt the biodegradable or durable carriers such as baskets and shopping bags to reduce litter,” added Ncube.